Universal’s critically-acclaimed comedy “Girls Trip” has translated to ticket sales, pulling $30.4 million at the box office over the weekend — the best start for an R-rated comedy in two years and the best showing for any live-action comedy so far this year, according to The Hollywood Reporter. Also, the movie earned a coveted A+ CinemaScore — virtually unprecedented for a live-action comedy. 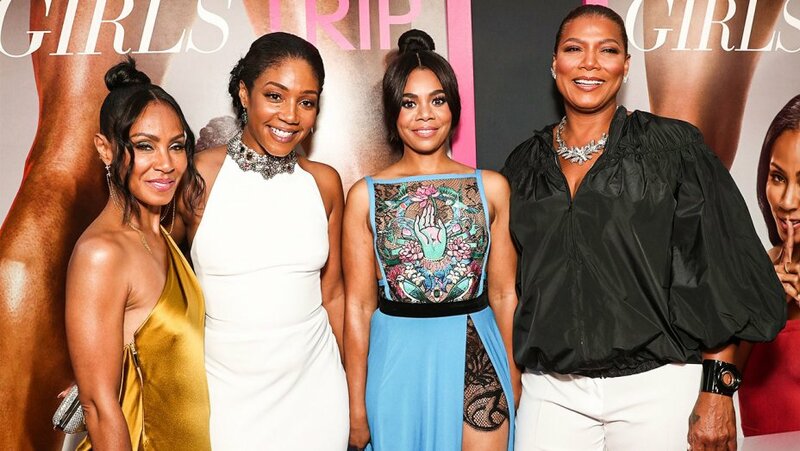 Regina Hall, Tiffany Haddish, Jada Pinkett Smith and Queen Latifah star as four lifelong friends who take a road trip to the annual Essence Festival in New Orleans. The film’s box office success defies the conventional wisdom of Hollywood studios, which operate on the assumption that all-black casts won’t reach a wider audience, and thus, won’t make any real money. According to Posttrak, African Americans made up 51 percent of ticket buyers for “Girls Trip,” followed by Caucasians at 38 percent. Overall, the Malcolm D. Lee-directed film placed No. 2 behind Christopher Nolan’s behemoth “Dunkirk,” which opened to $50.5 million over the weekend. “Girls Trip” cost around $20 million to produce, while Dunkirk sports a net budget of $100 million. In terms of other recent R-rated comedies, fellow 2017 summer titles “Rough Night” and “The House” both tanked. And the last time an R-rated comedy debuted to $30 million or more was in summer 2015 when “Ted 2” opened to $33.5 million, and Amy Schumer’s “Trainwreck” to $30.1 million. Universal released both movies.